There are different types of visas available to international applicants. According to your goal, you need to choose your path and GSI is here to guide you through. You need to choose the type of visa carefully since this is what determines your future in Canada. Canada’s visa is only issued by the Immigration, Refugees and Citizenship Canada (IRCC). 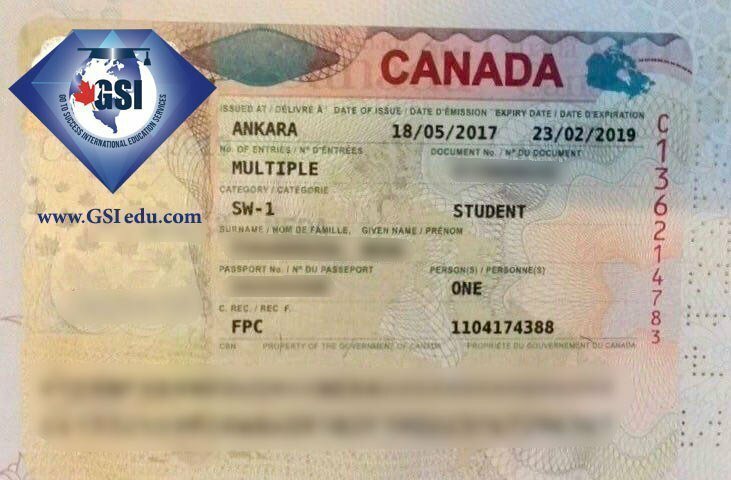 IRCC issues this visa to a student who is accepted to an authorized university by the Canadian government and holds an LOA (Letter of acceptance). There are many countries which their residents need a visa to enter Canada. To become aware whether your country is on Canada’s visa expected countries, please visit here. This visa is mostly available to Asian applicants who wish to pass a short-term education in Canada and allows them to work for a short period of time and then start their studies. By an IEC Working Holiday Permit, comes the possibility of working within a short period of time in various places. To know more about International Experience Canada (IEC) Working Holiday Permit, click on the link below. Only students graduated from public universities in some provinces are eligible for it. This permit is about one and half times more than the duration of the student’s studies. For example, after a duration of four years (Bachelors), the graduate will be eligible for 6 years of PGWP. The decision should be made on the unique qualifications and status of every individual. Our certified immigration consultants provide you with the comprehensive information about all the processes and required documents of getting either a student visa or an accompanying family members’ visa along with a work permit. Our wide-ranging visa assistance services are determined to ensure a pleasant and successful visa process for you. Consequently, we proudly believe in the high quality of the customer services we offer to our clients in our interactions with them. For more information, fill out our free assessment form and we will contact you.